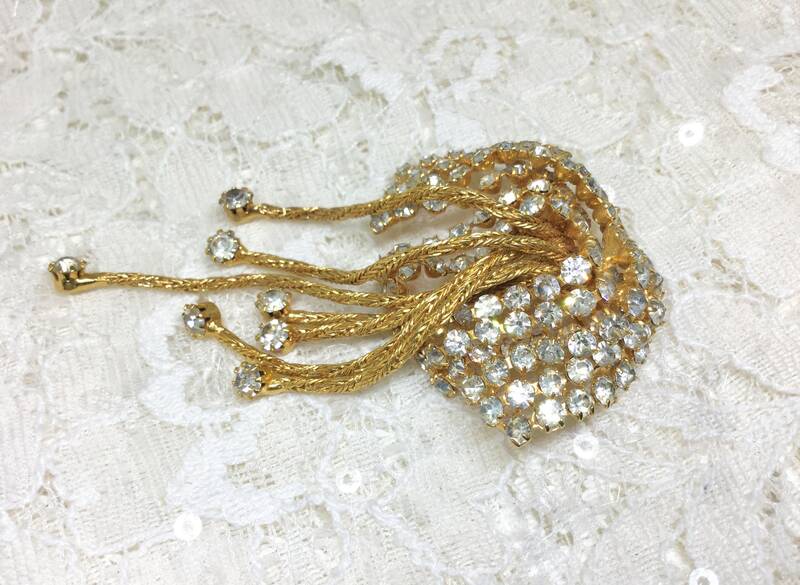 This is a vintage goldtone unsigned rhinestone and dangles brooch. Sparkly clear rhinestones are flowing downward in lines resembling a tree. 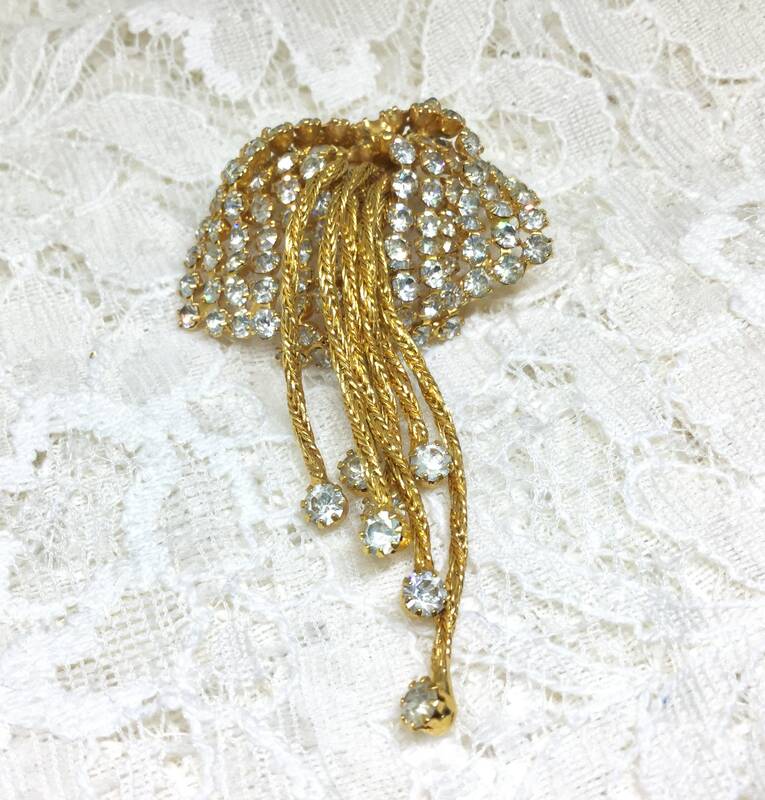 Coming out of the middle top are seven dangling goldtone chains each ending in a clear rhinestone. 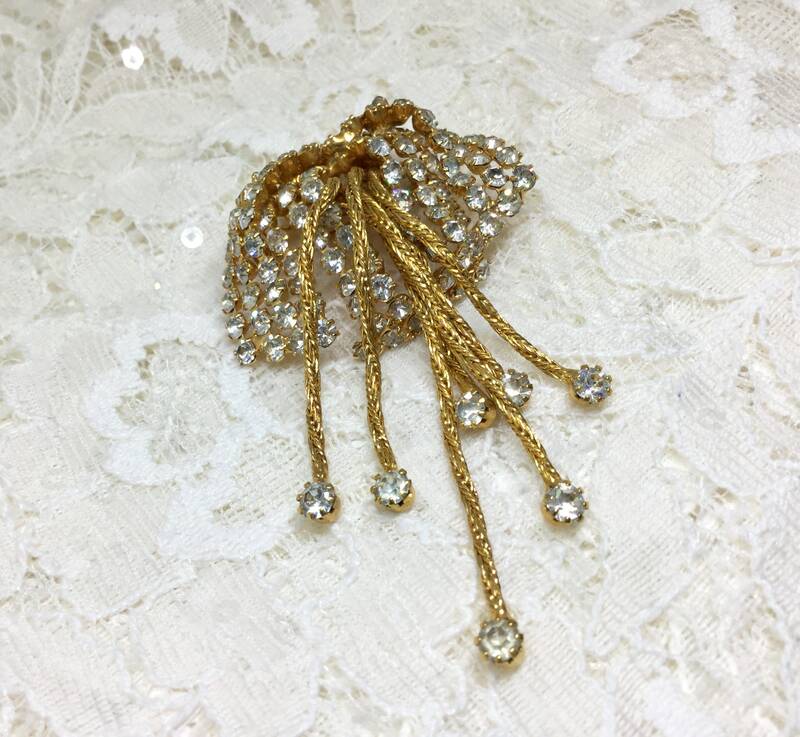 The Dangles give the brooch some nice movement. 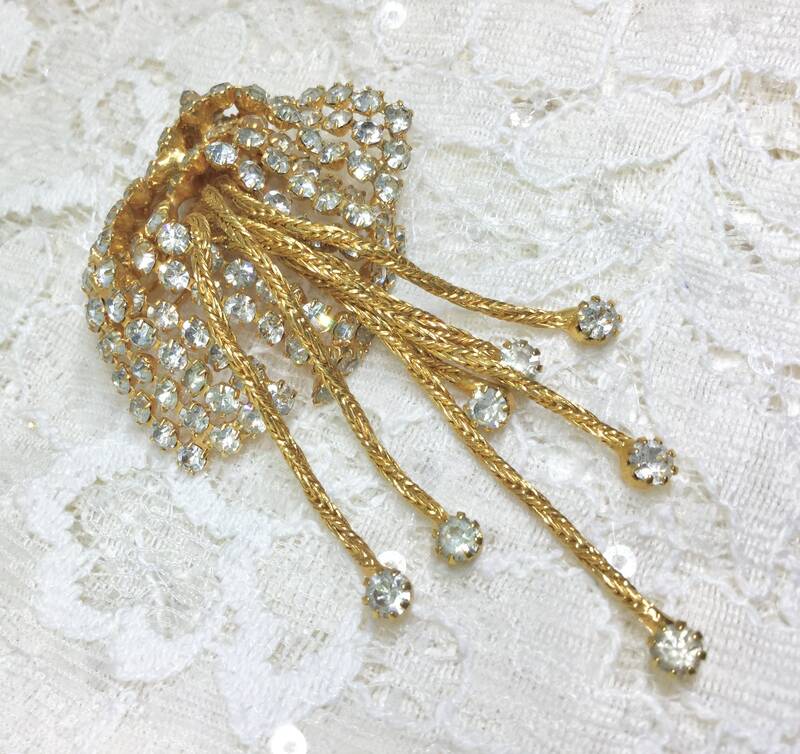 Allrhinestones are present,faceted, prong set,and clear and sparkly. 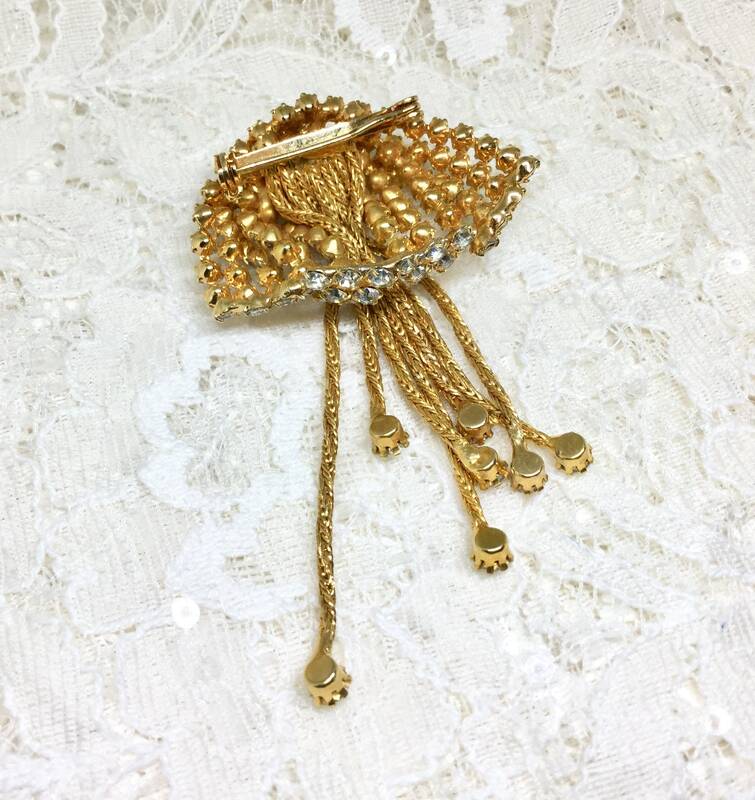 It measures 1 3/4” x 3” and the pinback is straight and works smoothly and securely. It is in great condition with a little wear mark on the pin. 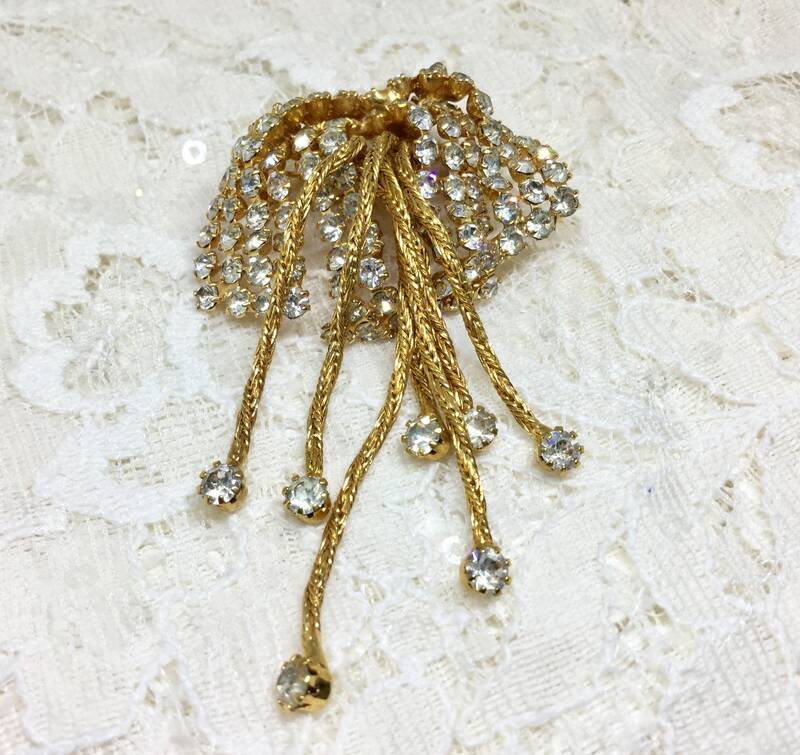 This is a unique and sparkly brooch with great dangles!